SEO is of critical importance to e-commerce websites as it directs online buyers to a website. From ranking in search engines to let people find your products and services in their search queries, SEO performs all these crucial tasks, which are imperative to the success of your online business. For these and more such reasons, it becomes necessary to optimize your website. Also, e-commerce websites that are optimized for SEO will let you rank top in the search engine results and let you reach more customers, make higher sales, and earn great profits. Search engine optimization is focused highly on developing strong and high-performing keywords, which are used throughout your website. Such keywords are called as focus keywords and must be included logically and naturally into your e-commerce website’s content. You can include focus keywords into your website’s content in things such as product pages, permalinks, Meta descriptions, alt text, URLs, image tags, and other content on your website. The important aspect to remember is that these keywords must be used naturally. WooCommerce is an excellent platform for e-commerce websites and is definitely one of the finest ways to rank your website higher in the search engines. In this post, we will discuss everything about ‘WooCommerce SEO’ and will also share with you some excellent tips to easily achieve its optimization. Why WooCommerce is the Best Platform for Ecommerce Websites? You can combine WooCommerce with WordPress to create a customizable and user-friendly e-commerce platform. Common features of an e-commerce website like shipping and payment are included within the plugin. In addition to this, the WooCommerce platform comes with numerous useful tools and plugins that are great to boost the profitability of your online store. It is a comprehensive platform that includes every feature that you will require to sell products online. As compared to other similar platforms like Shopify, WooCommerce offers more customization for those who want complete freedom while preparing their platform. The best part is that this plugin is quite cheaper than other plugins and is an open source tool that is freely available on WordPress. So, even if you are a newbie, you can use WooCommerce easily and without incurring much expense. A lot of users, especially the new ones are concerned about the SEO functionality of WooCommerce. While plugins such as Shopify come with an SEO friendly website structure, there are lots of other plugins that lack SEO-friendliness. This implies that Shopify helps users to get higher rankings in the search engines in an automated manner. Yes, WooCommerce too holds excellent SEO-friendliness! In a detail note, WooCommerce is developed using codes that are optimized for SEO. It is excellently performing while being integrated with WordPress and enable users to use all available extensions and plugins. It does not come with inbuilt SEO features, but you can always practice some tips to use this free platform for SEO optimization and gain higher rankings. One great example of a plugin that you can use with WooCommerce is Yoast SEO that gives you a bigger SEO boost than other efficient plugins like Shopify. All, you have to do is customize it accordingly and practice some valuable tips. There are innumerable customizations possible with WooCommerce, but not all of them will allow you to WooCommerce SEO. However, there are certain tips that you can follow in order to fix this problem. 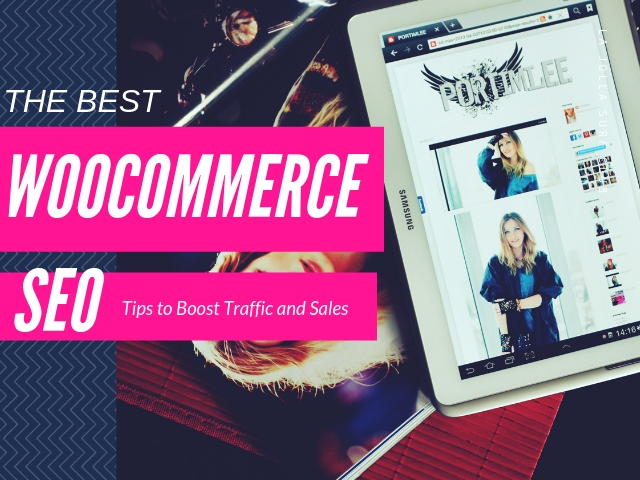 Here, we share the 10 best tips to WooCommerce SEO that will easily climb-up the search rankings. You can let users and search engines know what your page is all about by writing descriptive page titles. For e-commerce websites, this holds true for product and category pages too. By writing descriptive titles for category pages, you can help shoppers easily find out products they are searching for. Additionally, they help to create unique product pages so that none of them are competing with each other for search rankings. While the category pages can be optimized to rank for a broad keyword, the product pages can be optimized to rank for specific keywords. There can be lots of instances when your SEO title and page title are the same. However, you can make them unique by creating an exclusive SEO title using Yoast SEO. A good way out is to include keywords in the SEO title as well as page title, however, maintain the readability so that it does not hurt your customers. Product descriptions are not too long, yet they are highly valuable pieces of content and must include relevant and vital content. This implies that you must spend enough time to ensure that your product descriptions are well-tailored and friendly to the search engines. For search engines, the product descriptions are the same as any other piece of content. Therefore, along with vital information, it must also include keywords to rank for. It is best to write unique and rich product descriptions to achieve higher rankings in search results. Copying product descriptions from the manufacturer or from other sources are of no use and can actually result in a penalty from Google. Hence, it is best to write your own product descriptions. This is something really tricky. Having pages within your website that appear much similar to the content on the web can get you entrapped in the issue of duplicate content. As a result, Google may penalize you and your website would be removed from the rankings. If you are using content that is already appearing on other areas of your website. If you publish press releases and use your website’s content to generate the same. If you have numerous websites having the same content. The simplest way to ensure that your content ranks high in the search results is by publishing unique and original content. When your website has already existing content then you must check that it is copied or not. An easy solution for this is to use online tools such as SEMrush. If there is duplicate content on your website, then consolidate. Check that whether two or more of your site URLs contain similar content. If there are any, then redirect them to pages that are the original source. There are various WordPress plugins available that can be used to create redirects. Redirects are significantly important if you are shifting from one platform to the other. Some URLs of your website may have same but not identical content and you wish to keep both the webpages. In this case, you must use canonical links to inform search engines where the original content source is available. For this, you can include a tag in your duplicate content’s header. Breadcrumbs are links, which display on the top of the product pages. These links enable customers to move back to the previous landing pages or categories in just a few seconds. Also, it let visitors know where exactly they are and where they were earlier. Besides visitors, breadcrumbs are also useful for Google as it helps determine the structure and appearance of your website in the search results. The good thing is that WooCommerce comes with breadcrumbs, which are highly useful. But to avail the best SEO capabilities from it, you can use it along with a plugin such as Yoast SEO. If you will be using WooCommerce with WordPress, then one finest way is to enable the WordPress permalinks. This will ensure that the URLs are accessible to the search engines as well as visitors. For this, you have to select ‘Permalinks’ within the ‘Settings’ and select an appropriate URL structure. With permalinks, it is possible to use keywords within the URLs rather than product IDs. What if you don’t use permalinks with WooCommerce? Then the URLs will set to default for using the product IDs. In addition to breadcrumbs, another excellent way to ensure that your visitors do not get frustrated or confused on your website is the navigation structure. Simple and clean navigation is extremely essential for your e-commerce website. It is because the site’s navigation structure plays a crucial role in influencing its bounce rate. With a simple navigation system, visitors will like to stay more on your website and this will let your site rank higher in the search results. The finest way is to maintain simple navigation for the main page. Your website’s main page must incorporate links to the most vital pages for your website users. You can place the rest of the links in the website’s footer. Google reviews and indexes search results by using search spiders and if you fail to link any one of the pages of your website, then Google will not be able to find it. For this reason, I suggest you to always add the remaining links of your website in the footer. This will make navigation simpler and easier for Google as well as for your visitors. Though Meta descriptions do not support SEO directly, they can help a great way to boost your website’s click-through rates. Such descriptions appear under the title of the search results entry and give a brief description of the content. Therefore, Meta descriptions provide you a way to encourage the searchers to click. Sometimes, the Meta description is used by Google for generating search results snippet. For this reason, Google suggests that each of your website pages have a unique Meta description. The good thing is that you can easily edit these Meta descriptions with the help of the Yoast plugin. Though there is no defined length for Meta descriptions according to Google, the snippets that use the Meta descriptions are generated automatically by the systems. It states that the average length for the snippets that appear in the recent desktop results must be approximately 160 characters. This does not imply that you have to edit all the Meta descriptions. Snippets are created automatically. Therefore, it does not confirm that the Meta descriptions will definitely make to the search results. But still, it is considered as one of the best practices to optimize the Meta descriptions so that they are unique to each of the page. If these descriptions are highly useful, they are likely to list in the search engine results. This one is extremely important from an SEO point of view. Adding alt text to the images is of great help in numerous ways. Using alt text for images will make your website accessible to individuals who depend on the readers for browsing. Secondly, alt text in the images gives a great boost to SEO. If your image does not have an Alt text, the user will not be able to understand what the image is all about. You must create a concise and clear alt text that offers an appropriate description of the image. Moreover, alt text is an excellent place to include keywords. Use them wisely to maintain a natural flow. To take complete benefit of WordPress in WooCommerce, you must use SEO optimized themes only. Academy Pro, Corner, and Creativo are some of such themes which do excellent functionality. You now have the complete guide to WooCommerce SEO. Follow it to level up your e-commerce website this year and boost your revenue drastically.